The Galaxy S4 Google Play edition (the one sold by Google, not the standard Galaxy S4) has begun receiving an update to Android 4.4.2. 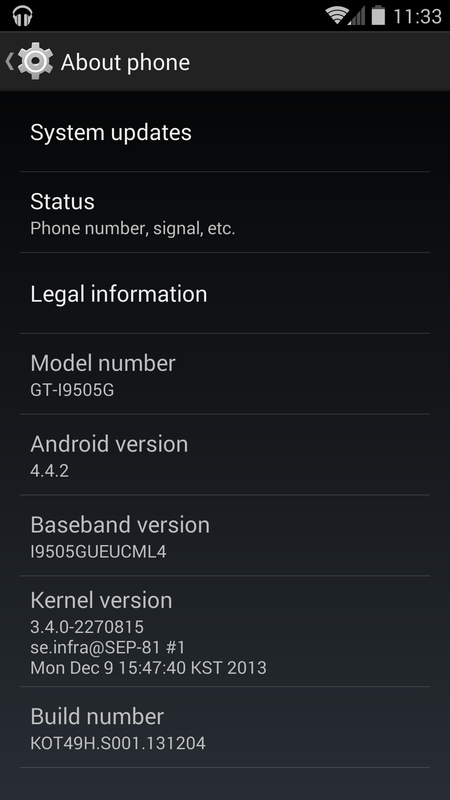 The 57.5MB update (firmware version I9505GUEUCML4) is available over the air and should be reaching most devices in the next few days, bringing mostly bug fixes and security enhancements over Android 4.4, including a fix for a critical SMS hack that was present on KitKat. If you haven’t received the update yet, be sure to do a manual check from the Settings » About phone » System updates menu, though as always, the update will come of its own accord. Hello! Have anyone try to upgrade a regular GT-I9505 with this update? Does it work? Thanks!